iDealwine’s wine indexes showed little movement in April. However, they have kept ahead of the CAC 40 index since the start of the 2016 financial year. 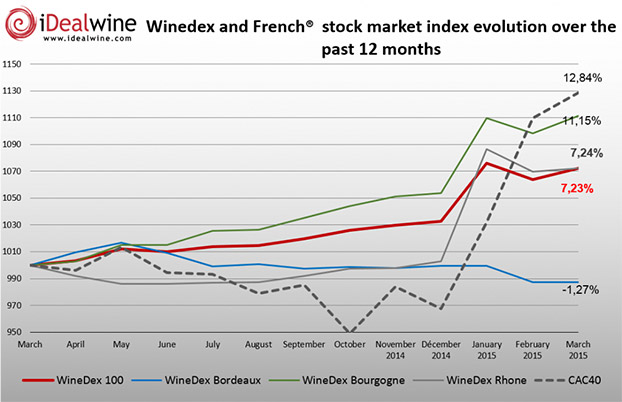 On the auction front, a « wait and see » approach is always required in this « pre-primeur » period, and prices of recent vintages, most of which are listed in iDealwine’s WineDex indexes, remained stable in April: the WineDex® 100 rose slightly to 0.42%, driven mainly by wines from the Rhône valley (+ 0.63% for WineDex® Rhône) and also by Burgundy wines (+ 0.49%) . In Bordeaux, stable rates are the order of the day, ahead of a primeur campaign which promises much following tastings for the 2015 vintage: the Bordeaux WineDex® thus remained unchanged in April (0, 14%). 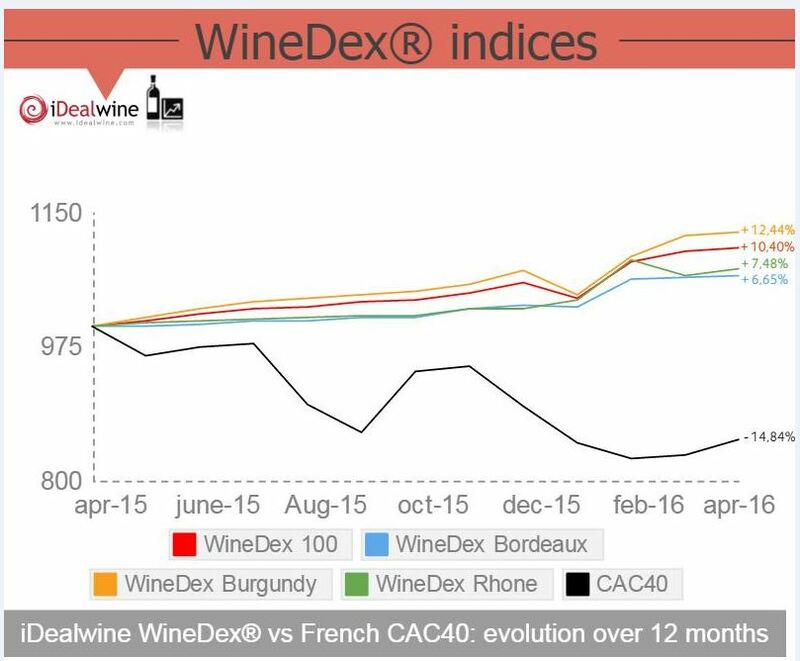 The iDealwine wine indexes show a rise of 4.48% since the start of 2016, easily outperforming the CAC 40 index. Indeed, the Paris Bourse’s benchmark index actually shows a decline of 5.02%, falling further to 14.84% when calculated over the last 12 months. Does that make wine a better bet than the stock market? Here at iDealwine, we’d say it does ;-). 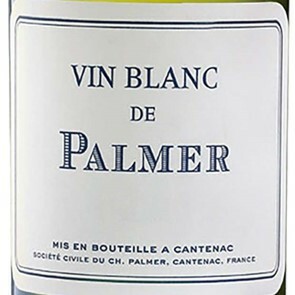 Fixed Price Sale: 100% mature vintages – Now Closed!